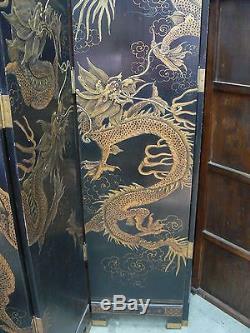 Item: Antique Chinese Dragon Folding Screen/Room Divider. This is truly a one-of-a-kind, once in a lifetime find. 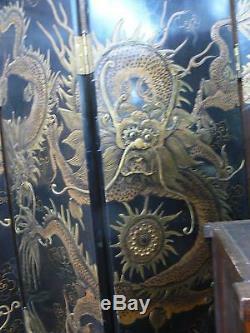 It is a very large, 8-panel wood folding screen covered in lacquer and hand-painted with large gold dragons. Each panel is 16 inches wide by 7 feet tall. 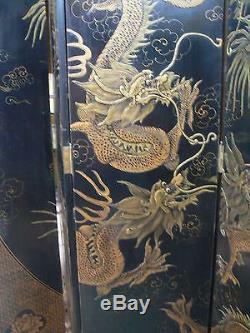 All the way stretched out the folding screen is 10 feet 8 inches wide. 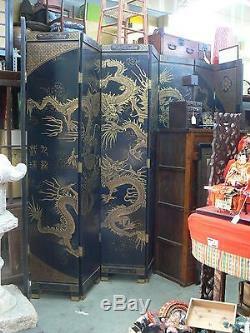 It dates to the 1920's, the late Republic of China period. It is in fantastic shape, with just a few small nicks here and there. 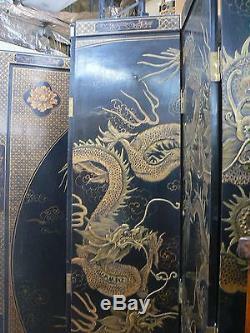 Each panel has been covered in lacquer and painted with dragons. 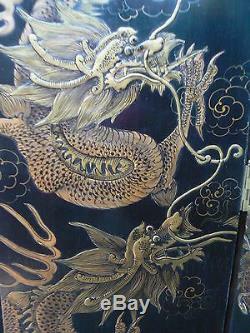 The bodies and heads of the dragons are laid out in an enamel paint which raises them up from the surface. 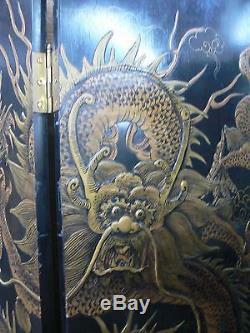 Details were then added in black and gold paint. The expressive faces and undulating bodies show the skills of a great craftsman. Please see close-up photos for details. 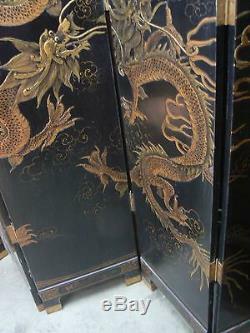 The photos are a bit obscured by other furniture in our store - you can see about one half to two-thirds in detail. 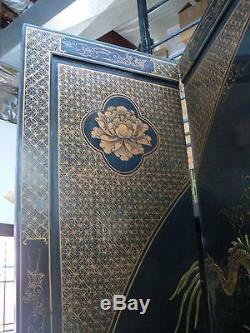 The rest of the screen is painted in a similar fashion. We will try to get more complete photos taken of the full screen. Please let us know if you would like to see more photos. Please check our other listings for more great picks from China, Japan, and other Asian sources. We keep adding new items every week. All items come from the collection of Arise Bazaar, Paul MacLardy, owner. Numerous exhibits and lectures at museums. Co-author of "Kimono - Vanishing Tradition". 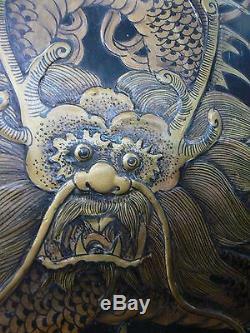 Co-author of upcoming book on motifs in Japanese textiles. Board of Directors of the National Cherry Blossom Festival Committee. Visit our website for more information. Check Out Our Other Items! If at any time, you have any questions or concerns about the item, or if any problems arise during the sales process, please let us know and we will address them ASAP. 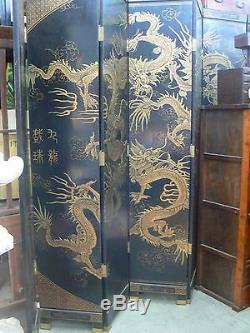 The item "CF 103 Antique Huge Chinese Lacquer Dragon Room Divider Folding Screen" is in sale since Saturday, November 08, 2014. 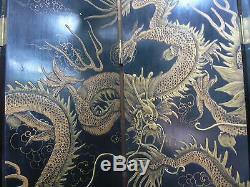 This item is in the category "Antiques\Asian Antiques\China\Cabinets". The seller is "arisedc" and is located in Washington, District Of Columbia. This item can't be shipped, the buyer must pick up the item.